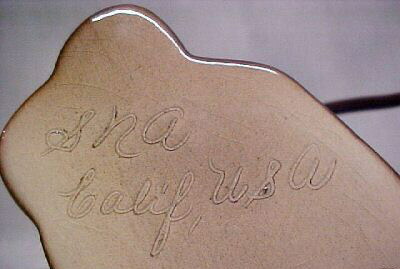 I have no idea what "SNA" stands for, nor have I found any other information on the company. 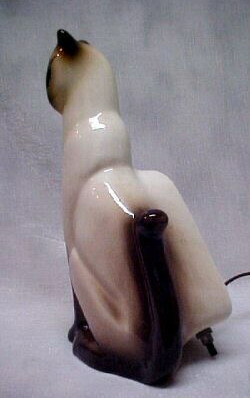 Oddly enough, I've seen photos of the SNA siamese cat lamp with a different marking, SMA. It's just as clear as can be... what do you suppose that means?! BOO... Kinda spooky looking, isn't it? 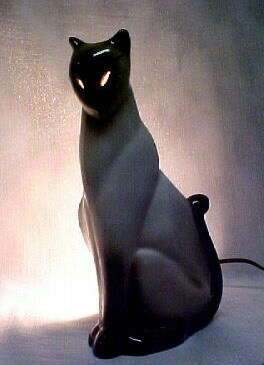 Actually, it looks sort of like the Kron siamese cat lamp, only different! Photos courtesy of Kathy from perryphernalia. 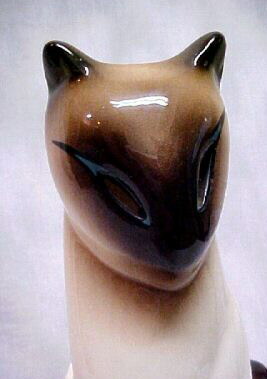 Here's the back of the SNA siamese cat. 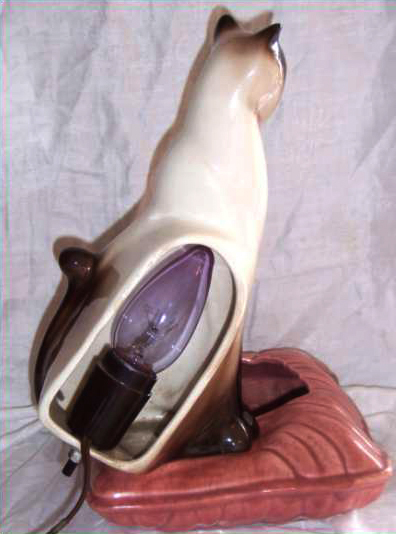 As with the Kron TV lamp, the SNA siamese has "open" eyes, allowing for the light to shine through. 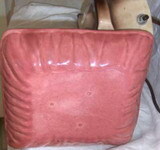 SNA proudly put their name on this excellent TV lamp. 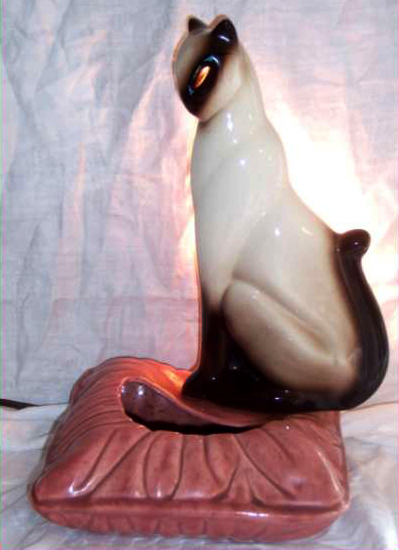 A variation of the SNA Siamese Cat lamp shown above, this one perched on a pillow that serves as a planter. Clever design! Photos courtesy of Rachel from Bay Center, Washington. 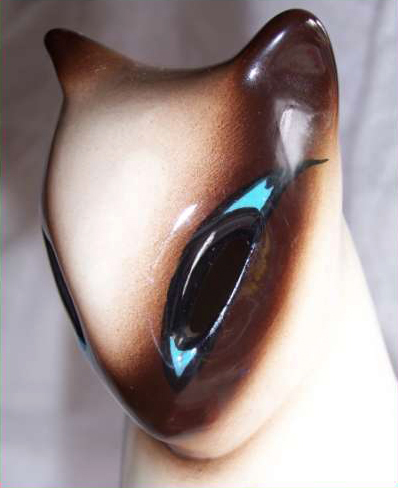 As though SNA's design wasn't unique already, this lamp has blue accents around the eyes that give it a particularly exotic look. 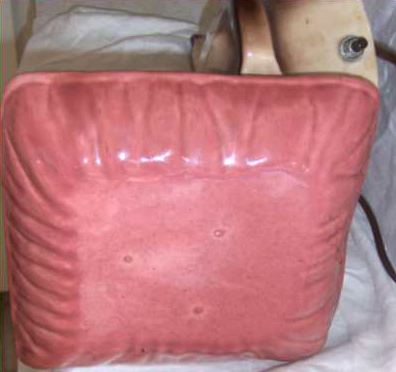 A view of the bottom of the pillow/planter, showing the three "stilt" marks that were created during manufacture.